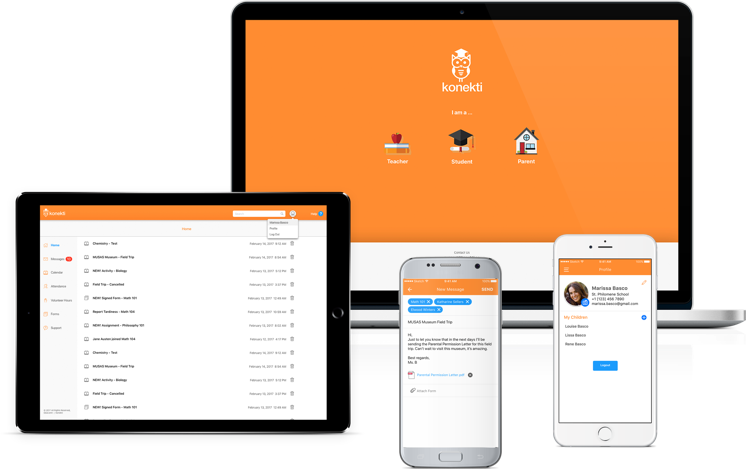 Konekti is a simple and secure communication platform for teachers, parents, and students. An innovative, multilingual, three-way communication tool that connects home and school under one easy access platform to promote academic success for students by fully engaging parents. Broadcasting seamless and secure communication to individuals or groups connecting students and parents to support academic excellence. Improving student achievement by tracking academic support with real-time notifications to parents and students. Three-way multi-language messaging connects home and school under one easy access platform, adaptable to bilingual households. 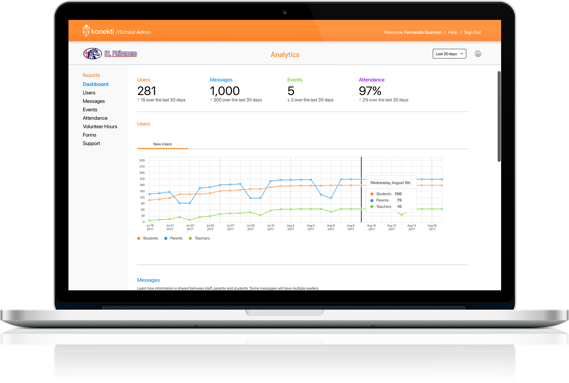 The Konekti School Admin Dashboard is an efficient tool, providing analytics and produces reports on the most recent data collected by the Konekti App.